A TWC lawyer had touted 60 potential suitors, but it's being reported that just two candidates have emerged. UPDATED (May 1): Although the official TWC bidding period has ended, Inclusion Media requested an extension from the studio, looking to submitted a $315 million cash offer for its film and television properties, per Deadline. Inclusion’s founder is Broadway producer Howard Kagan (“Natasha, Pierre and the Great Comet of 1812”), who wants to set aside $25 million in settlements and 4 percent equity for Weinstein’s alleged victims, and a separate $5 million and 1 percent equity for alleged victims who were also TWC employees. If Inclusion’s bid is successful, the company will keep TWC in Manhattan. An anticipated bankruptcy auction to decide the fate of The Weinstein Company is no longer necessary, according to Deadline and the Los Angeles Times. Sources told the outlets that Lantern Capital Partners — the Dallas private equity fund that tested the market with its $425 million stalking-horse bid — went unchallenged when attempting to acquire 13-year-old TWC, its 277-film library (including Best Picture Oscar winners “The King’s Speech” and “The Artist”), dozens of halted film and television projects, and remaining 80-person staff. Bids were due April 30. IndieWire has reached out to Lantern and TWC for comment. The mini-major studio — flailing since Pulitzer Prize-winning, October reports from The New York Times and The New Yorker prompted a deluge of sexual misconduct allegations against co-founder and former co-chairman Harvey Weinstein — declared bankruptcy March 19. Less than two weeks ago, a TWC lawyer told Delaware Federal Bankruptcy Court Judge Mary Walrath that 60 parties expressed interest in buying the company, 80 percent of whom had already scrutinized its accounts. Deadline reports that Lionsgate, MGM, and even the first studio established by Harvey Weinstein and his brother, Bob — Miramax — considered placing bids. Miscommunication about the state of TWC’s finances cost TWC a previous potential buyer. A group of investors that included Lantern as a minority backer — led by onetime Small Business Administration head Maria Contreras-Sweet — publicized its desire to buy TWC in November, and announced the pending purchase on March 1. However, the Contreras-Sweet camp changed its mind within five days of consulting TWC’s books. A source close to the deal told IndieWire that TWC was $280 million in debt, not the advertised $225 million. Lantern’s offer consists of $310 million cash and an assumption of $115 million in liabilities. A meeting of TWC’s creditors is scheduled for Wednesday, followed by a May 8 hearing to confirm the sale. Judge Walrath has much to consider, however. 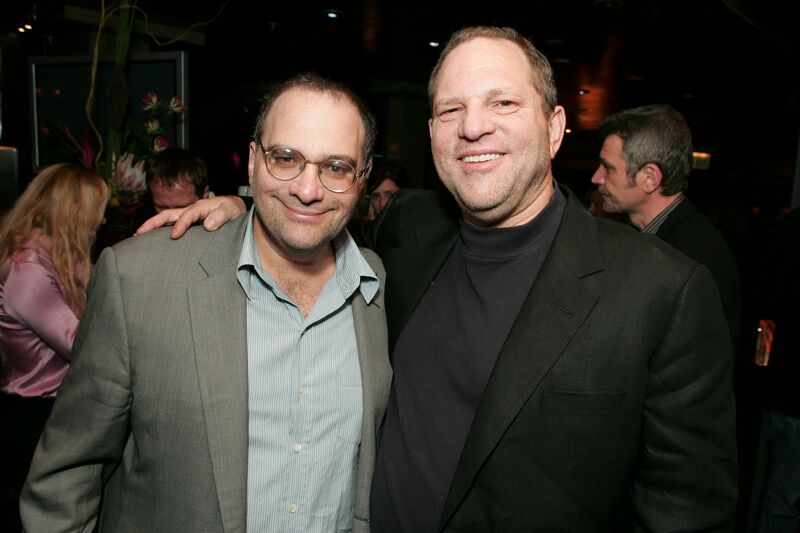 On April 20, Weinstein — the subject of criminal investigations in New York, Los Angeles, and London — filed paperwork asking the court to grant him access to 800,000 emails and personal files from his TWC tenure that could help him “exonerate himself.” His namesake former studio requests that the motion be denied, as the prospect would deplete the cash-strapped company of an estimated $750,000 or more, and further delay the bankruptcy proceedings. In addition, Quentin Tarantino, Meryl Streep, George Clooney, Jennifer Lawrence, Brad Pitt, Rachel McAdams, Leonardo DiCaprio, Bill Murray, and Stephen King all filed objections to TWC’s sale, alleging they are owed past profits (including $4.5 million for Tarantino). TWC is headquartered in New York City, and last week its mayor’s Office of Media and Entertainment also filed a brief imploring Walrath to keep TWC’s replacement there, citing the local $9 billion/year film and television industry.